The recent Natural Gas Summit 2014 initiated by natural-gas powered countries Norway, Russia, Japan, The Netherlands, Great Britain and Spain in collaboration with the Department of Energy (DOE) brought together government and energy industry leaders to tackle the need for a more dynamic natural gas industry in the Philippines to continue powering the country’s robust economic growth, forecasted by the International Monetary Fund (IMF) at 6.3 percent this year. 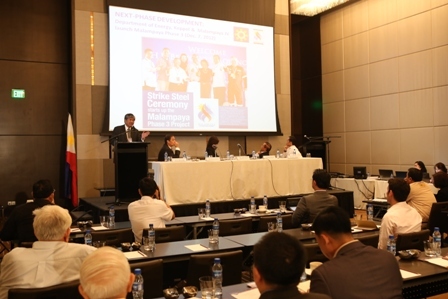 Pioneer in the country’s natural gas industry, the Malampaya Deep Water Gas-to-Power Project was cited as a model for shaping the future share of natural gas into the country’s energy mix. 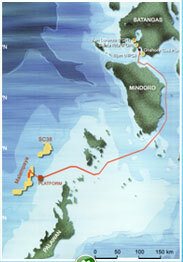 The birth and commercialization of Malampaya and the first natural gas policy established for the gas project were tackled in separate discussions by former Department of Energy (DOE) leaders Dr. Francisco Viray, CEO of Trans-Asia Oil and Energy Development Corp. and Jose Victor Emmanuel de Dios, CEO of General Electric. The gas project was developed in ways that are environmentally, socially and economically responsible since the time when the Camago gas field, connected to the Malampaya reservoir, was discovered in 1989. A 504-kilometer long pipeline transferring natural gas harnessed from the offshore gas platform in Palawan to power generating plants in Batangas was built to avoid fishing grounds and fragile coral reefs. Malampaya currently provides 30 percent of the Philippines’ energy needs with natural gas, known as the fuel for sustainable growth and development because it is abundant and cleaner than fossil fuel. More than energy, Malampaya brings sustainable development in communities where it operates through its various social investment programs implemented by Malampaya Foundation, Inc.
SPEX Managing Director Sebastian Quiniones explains how the Malampaya Gas Project goes beyond providing cleaner energy for Philippine growth. Fuelling unprecedented economic growth calls for more investments in unlocking indigenous sources of sustainable power. “The country needs some 300,000 barrels of oil per day (BOPD), but local production only supplies 60,000 BOPD through the Malampaya Project and about 10,000 BOPD from other smaller projects,” said Quiniones. Quiniones made recommendations to government to boost natural gas investments in the country, such as developing a favorable investment climate through the elimination of bottlenecks, more fiscal incentives, consistency in policy and regulations, improved infrastructure and strengthened government interagency collaboration through the Executive Order 60 or Philippine Upstream Petroleum Task Force. 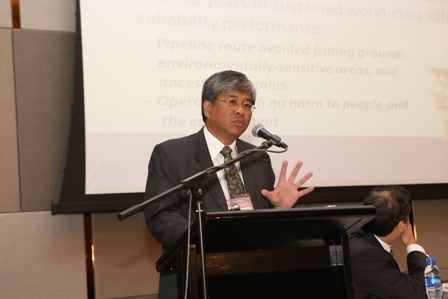 On a similar note, Rufino Bomasang, Chairman of Otto Energy Philippines, Inc., PhilCarbon, Inc. and Philippine Chamber of Coal Mines, Inc., and former President and CEO of Philippine National Oil Company – Exploration Corporation (PNOC-EC) affirmed that the Philippines’ vast energy reservoir potential remains untapped. Investments are needed to develop additional gas fields and the government, to be able to accelerate investments for developing the country’s gas market and gas infrastructure, should start with lessons learned from the world-class Malampaya Gas Project. 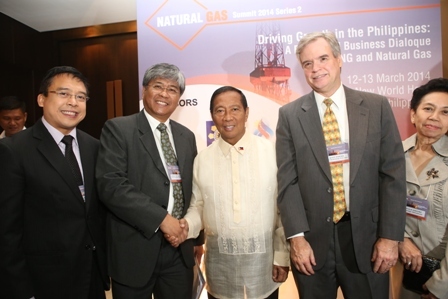 SPEX Managing Director Sebastian Quiniones [2nd from left] and Shell Eastern Petroleum Pte Ltd Senior Deal Lead – Asia Scott Porter [2nd from right] meets Republic of the Philippines Vice President Jejomar Binay, Keynote Speaker to the Natural Gas Forum 2014. Also in photo are [leftmost] Atty. Jose M. Layug, Jr., Former DOE Undersecretary and Cecilia Sanchez, Leverage International, Inc. Chair and CEO. A product of strong public-private partnership, the Malampaya Gas Project is at the forefront of the natural gas advocacy in the country. It remains one of the largest and most significant investments in Philippine history that gave birth to the country’s gas industry and promoted energy efficiency. The gas project is now on its next phases of development, the Malampaya Phase 2 and 3 which will maintain the current level of gas production and further support energy security for Filipinos. SPEX, on behalf of DOE and Joint Venture Partners Chevron Malampaya LLC and PNOC-EC, develops and operates the Malampaya Gas Project using expertise drawn from Shell’s extensive global experience in deepwater technology and oil and gas exploration and production. The Natural Gas Summit 2014, Driving Growth in the Philippines: A Policy and Business Dialogue on LNG and Natural Gas, was held last March 12-13 at New World Hotel, Makati City.